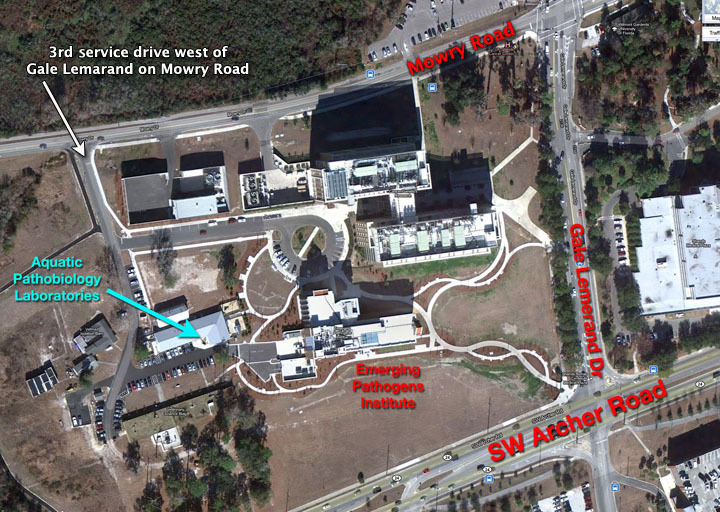 Enter the facility from the 3rd service drive west of Gale Lemerand Drivce on Mowry Road. Building not open to the public. Parking by permit only.